This article exploring Corporate Style Portrait techniques is by Bryan Larson, Liam Richards, and Trenton Lepp from The Binary Crumbs. Flash photography is a difficult topic to discuss as there are so many different stages where shooters might currently be at. The process for most people I talk to begins by first learning how to shoot under ambient light, then starting to play with your camera’s built in flash. Soon enough, that special day comes around when you buy your first external flash, which is commonly followed by a long period of shooting with the flash firmly mounted onto your camera’s hot-shoe. A while later, the off-camera hot-shoe cable is purchased allowing the flash to stretch within an arms reach of your camera – most people never get past this stage. For the slightly more aggressive lot, however, the day finally arrives when the tethering bind between flash and camera must be severed. Much like the severing of the umbilical cord, this will be the day when you are first born into true flash photography. Even here there is room to grow, as another process inevitably starts beginning with wireless, infrared flash communication, and growing into complex studio strobe setups fired by radio transceivers. As photography exists merely as a byproduct of light itself, it should come as no surprise that the ability to control and manipulate light has grown so far, so fast. Light can now be hardened, softened, bounced, colored, directed, spotted, and widened using a variety of tools readily available in almost every photography store in the country. If you’re ready to start playing around with multiple flashes, the best place to begin is portraiture as it allows for the most freedom to experiment. There are a lot of lighting guidelines out there that in many cases need to be followed, but I don’t want to rehash the same old setups that have been passed along now for years and years. Today I want to talk about controlling light without constraints; to use your flashes in accordance to your subject, not because a manual told you that that’s how it ought to be lit. To provide some structure though, I’ll narrow the topic down to corporate-style portraiture using two flashes. If you’re using infrared flash communication, most cameras require you to have your master flash locked into the hot-shoe. Not a problem. There’s still a number of possibilities for portraiture that can be achieved by simply moving around your flash slave. One possibility is the ultra-clean, white-background head shot that can be done by bouncing or diffusing your master flash (1) onto your subject, and firing your slave (2) at the wall behind him/her. Paper backdrops are quite inexpensive and work great in these types of instances. The simplicity allows the shots to be easily integrated into promotional material, used on business card templates, for online profiles, and so forth. The example above is one of about 160 shots I took for a single business. The easy setup is imperative when you’re “hammering out” a large number of portraits over the course of days, months, or even years. Just because you start shooting with multiple flashes, doesn’t mean that your confined to interior spaces and studios. In fact, exterior flash photography can really make your subject stand out from the outdoor background. I personally like shooting at dusk or dawn as it makes for a darker background. Overcast days are good too. For the above sample, you could even use a off-camera shoe cord to pull your master (1) flash to the right with a secondary slave (2) to the left if you were relying on infrared communication. For this shot, two Nikon SB25’s were used – the master flash was angled down on the subject, and the slave was at about head level. If you want your subject to stand out, focus your flash in on them to avoid lighting the background. Alternatively, you could snoot one of your flashes if you really wanted to focus the light. Just expose your camera in accordance to your subject and let the background slightly underexpose. This shot was taken for photojournalism purposes which rely heavily on props and setting to more clearly tell a story. If you’re lighting a subject with a prop, use it to your advantage. Place your subject and prop together in a way that is aesthetically pleasing first and light second. In this case, a relevant scientific machine was used as a prop and placed at an angle to draw attention towards the subject. The master flash (1) was gelled (CTO gel) and reflected into an umbrella to saturate the shot in soft, warm light, while the slave flash (2) was diffused and fired through the machine to cast a slight shadow on the subject in order to further draw attention to his face. Both flashes were Nikon SB800’s and were triggered using Pocket Wizards (radio transceivers). Again, this shot was taken for photojournalism purposes. The group was developing a “space elevator” for a NASA challenge. The space elevator couldn’t be photographed, so to further connect with the the story, the team was shot in a real elevator. Now we have a problem: it’s hard enough to fit five guys, one photographer, and a pile of camera gear into an elevator, despite trying to light it and frame it so it’s pleasing to look at. The camera was angled down on the group, and two Nikon SB800’s (1 & 2) were angled up to bounce light off the roof at very low power (1/32 and 1/64). The shutter speed was slowed down to generate motion blur in the background. Corporate head shots don’t always have to be boring studio portraits, and they don’t always have to be head and shoulder shots. If you’re working with a photogenic model, and you have time to do some experimenting, move in for the close-up. In this example, the subject was framed using a fur-trimmed hood. For corporate portraits, I recommend incorporating the business whenever possible. For instance, if you’re shooting a portrait of someone who runs a chain of sunglasses stores, then by all means have them wearing a pair of sunglasses. For this shot, the master flash (1) was used as a soft fill camera right, and the slave (2) was also softened to highlight the subjects face. For close-ups, it’s always a good idea to soften the light as it also makes the skin appear softer and more flawless. So these are five of literally an infinite number of flash setups. Overall, my intent here is not to explain photographic lighting down to the smallest detail, but to encourage you to think about lighting as something that’s modifiable, experimental and fun without rigid rights and wrongs. So embrace light, play around with it, make mistakes, shoot masterpieces – in the end it all goes to make you a better photographer who’s able to think outside the box. Learn from others, but always be willing to make your style your own. And of course, happy shooting! Bryan Larson is a blogger at The Binary Crumbs blog - a blog by actual industry workers who make a living in the fields of media production. this is amazing! just made me to crave/buy an off-cam flash even more! Would try this once I have one. Finally...a diagram of WHERE to put my lighting sources...no one EVER shows this!!! Thanks a million. Excellent - easy to understand - straightforward set ups. All the 5 photographs with diagrams manner are did well, it very useful tip. Great Tips, Thank you! Really helpful. A very helpful tut. Thanks for the great tips. I'm experimenting with two flashes my self and its paying off. Nice tips and instructions Bryan. The diagrams are very useful. Its also nice to find an article where the author actually responds to questions. Thanks for your wisdom Bryan, i am a Canon man myself will have a look to see whats available i like the idea of the flashes as they are much more compact than lights, will have to balance it up. Yeah, sounds like the lights were not designed for portraiture. You may be able to expose a face with them, but likely not expose a face and overexpose a background if you're looking to achieve a result similar to #1. You need a fair bit of light to turn the background pure white. (pardon the rhyme). The setup you're looking at looks like it would do the trick, although I've never used that brand of equipment before. Alternatively, you could just pick up a couple flashes (i.e. if you're a Nikon shooter, a SB800 and a SB600 for example) and use them. 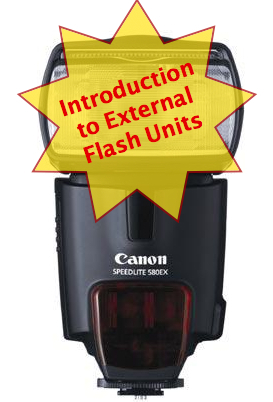 I tend to recommend that type of flash for those beginning as the lights are easily stored, portable, and effective. It's up to you. I am getting the same results as Kelly with the lighting equipment i have. I was looking at investing in somthing like this a little bit later on for taking photos of my son and family. At present i am using lights that were supplied with a light cube, the lights use 2x 3x24w 5000k-5500k but i dont seem to get enought light on the background. Is there any improvements you can recommend with the equipment i already have or am i best to purchase more studio lighting? Very helpful tutorial. Thanks a lot for sharing. Wish to see some more articles on same topics from you. Thanks again for all the great comments everyone. If by fixed light you mean you're using a light that's burning steadily, and not firing like a flash I can probably help you there. Yes, you can buy lights that are a higher wattage - like Ianiro Red heads for instance (http://www.dvshop.ca/lighting/ianiroredheads.html). A word of caution, most lights of this nature are tungsten balanced, so you'll need to white balance your camera accordingly, and gel your built in flash with a "CTO + .3ND" gel (that's Color Temperature Orange + .3 Neutral Density) for optimal results. Lights like this are commonly used for shooting artwork and inanimate objects in photography as they require a longer shutter speed than flashes do, and are also a staple light system for advanced amateur video studios. I recommend using real flashes, or photographic modeling lamps. Very nice tutorial. Thanks a lot for sharing. Wish to see some more articles from you. Thanks! One of my goals this year is to embrace lighting with my photography. I LOVE this! Thanks for the blog. Great information. Really great tip.... Tutorial increases my focus to Light ever before... Thanks Man !!!! Very nice and well explained tutorials.I like the way you put a guide with equipment and subject layouts. I heard for white backdrops you can use a cheaper option than the expensive backdrops, white vinyl they use on the sides of HGV trucks. Now if you can convince the Drivers License folks to use a 2d flash. Do they receive special instructions in "ugly"? This was such a helpful post - thanks! I'm only just beginning to consider what to buy for my first home studio (been shooting only natural light portraits thusfar) and this has really helped to teach me about all the options out there. As an amateur photographer, I try to read all the info that I can, and this one is, at least, very interesting! I'm sure I will go through tha path that is related at the begining of the article. Really useful. Thanks a lot for the light scheme. What a great tutorial! I'm starting now using my flash and this helped me a lot. I found the diagrams a nice add. Would like to have a print or pdf version of it. Maybe this could be implemented in the site in the near future? What a fantastic selection of lighting setups. They're so simple but I think it is all too easy to over complicate things and start thinking about flagging here and there and 'add another light in'. Excellent. Mind opening. Simple and practical. I was avoiding lighting tehniques but this made me wanna get deeper inside. I forgot to add that the flash diagrams in the article are very useful and appreciated! Superb tutorial - loved it. Can't wait to try them out ! Would be great to have these tutorials in a printer friendly format. My new years resolution is to advance in lighting techniques, and this is just the kind of stuff I've been reading up on so far. Very nice article. I'w been playing around with flashes a while and this really gave me some new ideas. Thanks! I really can't believe what a great readership there is here on DPS. Thank you all for taking the time to comment. I'm glad you're finding the article of value, and of course, I offer my services to answer any questions you may have. You all have a real knack for uplifting a guy's spirits. Great examples; very helpful diagrams. How a photographer controls light really takes the photo to the next level. I haven't gotten past the in-camera flash stage, but if and when I get to the point of using serious lighting setups, I'll definitely keep this in mind. The thought of it always overwhelmed me, but this helps knowing a few things to start with. Thank you! Thanks for this advice! The tips are great, not only for photojournalism or corporate portraits, but documentary photography (portraits) as well. Can't wait to try these out! I love these tips. The graphic illustrations of where you put the lights and the model/subject is very helpful. I really, really, really like the included flash diagrams in this article. This has been one of the best "tips & tutorials" I've seen on DPS. I feel like I could try every one of these techniques effectively now. Thanks so much! Great article on how to take the first step past using just one off-camera light. Very useful information. I like using flash outside. It's a great look. I also use number 3 style a lot in my corporate work. A little higher level article than many of the past. Good stuff. By the way, is there a print version for the tutorials on DPS? Another technique would be to use one of the lights as a hair light on camera right and the fill light slightly on camera left. I love this effect. Very nice tutorial. I just love the way you explained it. Good job and thanks for sharing.